Many factors can impact the colour and appearance of your urine including certain food, medications as well as diseases, says Vipul Jain. If you are one of those many people, who have been battling to know more about pee, but are being too embarrassed to ask this question to your medico this is just for you. 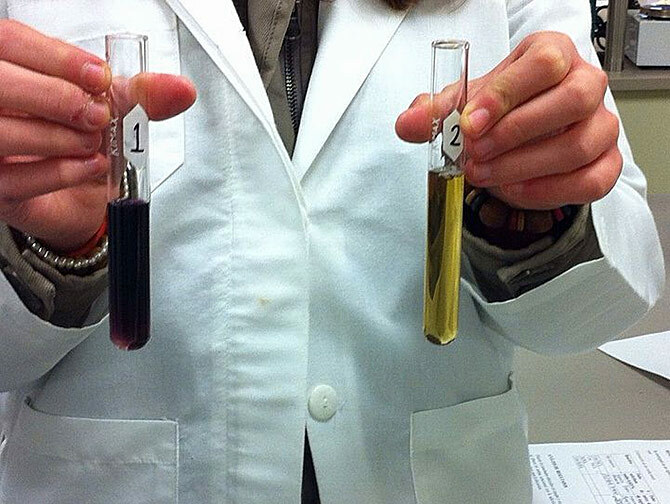 The colour of the pee can determine your health condition! As a matter of fact, many foods can actually impact, urine colour. Hence, it can certainly not be a barometer of your health, unless you are sure to be completely hydrated and your pee is relatively clear. In fact, urine actually is a vital indicator of our health condition. It plays a significant role in removing toxic substances, waste disposal and pH regulation; and thus, variation in its colour requires a constant check as it may be a serious health indication. Many factors can impact the colour and appearance of your urine, including certain food, medications as well as diseases. In this regard, below mentioned information can be referred as a general information. Vitamin B2 also called as riboflavin, if consumed more than its required quantity through B complex supplement, the excessive vitamin will be passed through the urine while giving it a fluorescent yellow or neon yellow appearance. Consumption of a lot of carrots can turn urine, dark yellow or orange, also imparting yellowish orange colour to the skin, a condition is commonly named to be a carotenemia. Moreover, Warfarin or Coumadin is an anticoagulant that is being offered for heart trouble, this may as well cause your pee to be orange in appearance. Red urine may be an indication of unusual bleeding and presence of myoglobin released from damaged muscle cells. It can also be considered as an indication of damage in muscles, urinary bladder, and kidneys. Some anesthetic medicines such as phenazopyridine may be offered for urinary tract infection, which may offer red colour to the urine. Another diseased condition known to be porphyria is as well a concern for red coloured urine. Slight greenish or bluish pink urine indicates a kind of bacterial infection called aeruginosa or extreme consumption of asparagus. Moreover, metabolic disorders can as well produce greenish or bluish urine, one of the most common conditions in this regard, can be noted as indicanuria. In babies, the condition is generally termed as blue diaper syndrome, which is accompanied by familial hypercalcemia that is the release of calcium in the blood. Alkaptonuria, an inherited condition wherein a person cannot breakdown important amino acids, due to which urine may appear black or brown. Liver diseases, such as hepatitis, cirrhosis, etc. and as well some kidney diseases like a kidney stone, kidney failure, etc can produce darker urine. Dark urine can as well be referred to as an indication of some types of cancer. Cloudy urine has been noted very commonly by many of us, and generally be ignored as a common condition. However, it may be a sign of range of conditions like urinary tract infection, proteinuria, kidney damage, diabetes, hypertension, etc. Thus, the colour of your pee can be an indicator of various health conditions and if proper attention is being offered; these health conditions can be well controlled. Recently with various technological advances in a medical science, like stem cell therapy, it is possible to treat a variety of health conditions like kidney damage, liver disorders, cardiovascular disorders, etc. can be treated. Vipul Jain is CEO, Advancells that provides stem cell therapy solutions.